The first major creative hub opens in the Highlands. 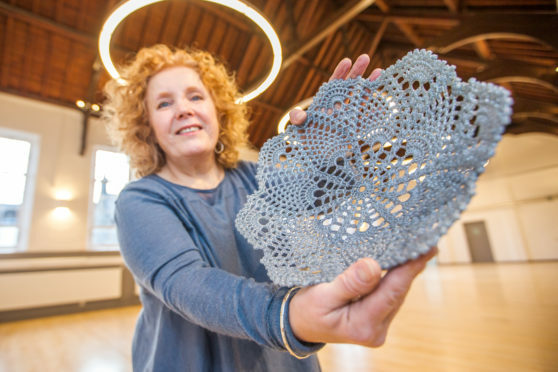 Pictured is Catherine Carr holding a piece crocheted glass. The first major arts centre to serve the north has officially opened following a £2.25million renovation of a former school and college building in Inverness. Midmills College, the former Inverness Royal Academy, now houses studio space for artists working an array of art forms, from textile designers to an artist who knits glass. The Inverness Creative Academy has been brought to the fore by Wasps, which seeks to enrich communities across Scotland by providing quality and affordable studio space to allow artists to reach their full potential. Chief executive of Wasps Audrey Carlin said: “I am just delighted to see the building up and operational and see the breadth of talent and disciplines that have come into the building. It is really quite encouraging to see people move in and start to work straight away. It is what we have been working towards so it is great to see it happen so quickly. 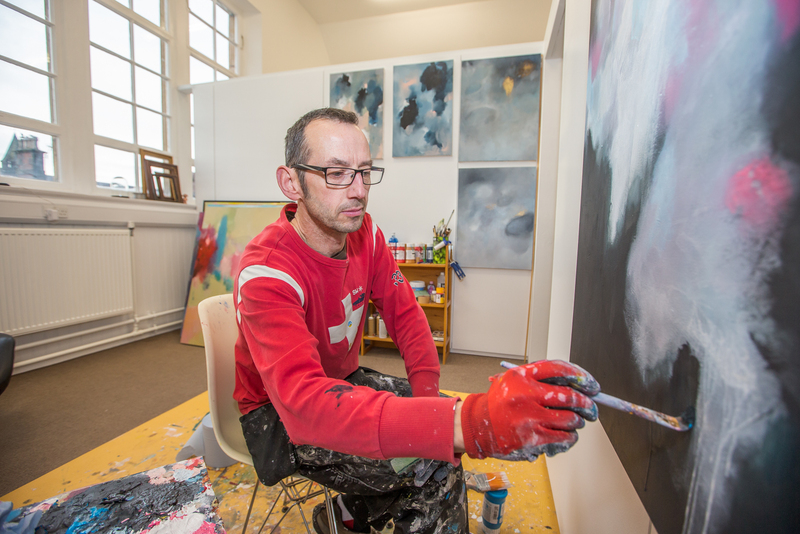 Inverness abstract artist, Haywood John at work in his new studio. 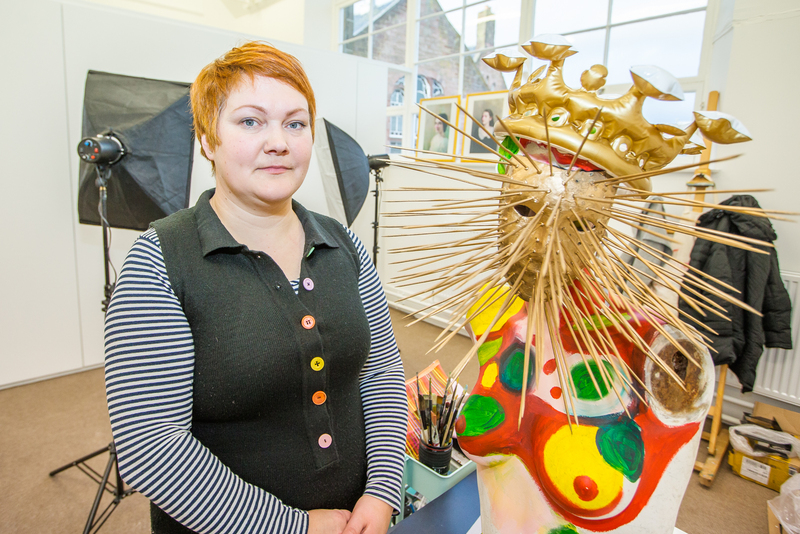 “We are looking to keep creative talent in the Highlands and allow it to develop in the Highlands. We wish to ensure that anybody working in the creative industry, or going through a creative industry course at the moment, feel that they can stay and be supported in the Highlands. The building is the 19th to open across Scotland with other Wasp hubs present in Nairn, Orkney, Shetland and Skye. Previously the building was occupied by Inverness College until 2015 before extensive renovation works were conducted by Robertson Construction. Ian Phillips, operations director for Robertson Construction Northern, said: “It’s gone very well for us. When you are refurbishing a listed building it comes with its own challenges and the biggest part of that is retaining the existing character and ensuring that it is done in a sympathetic way. Evija Laivina at work in her new studio. The Creative Academy is operating at around 70% capacity with enough space at present for 30 artists. The second phase of the project, that will see a further 54 spaces added in the adjoining building, is currently seeking around £1.35million of the £3.45million cost of renovating the old Assembly Hall of the former IRA school. The project is hoped to reach completion in the summer of 2020, with construction involving the creation of a café area and meeting rooms. 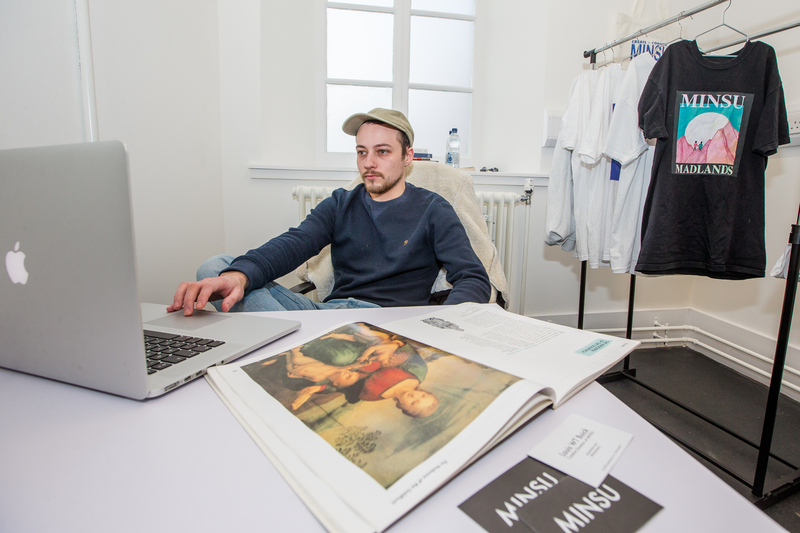 Artists have praised the Academy as providing professional workspace, as well as combating the issue of loneliness and isolation many experience. Louis Buick is a multi-media artist from Inverness who is one of the latest artists to take up residency in the new Creative Academy. Twenty-six-year-old Mr Buick is father to a six-month-old baby and previously operated out of a cupboard in his home, alongside juggling the pressures of parenthood. Mr Buick said: “I was working out of a makeshift office in my home, which was literally just a cupboard, but it was very small and wasn’t ideal for taking folk to. “I work in a lot of disciplines from fashion to photography. Meeting people to take photos has been a problem so I am going to dedicate one area to that and basically expand what I have been doing. “For me when I left school I was a DJ and made music and back then it wasn’t commonplace then that you would have a career in the creative industries, whereas in places like Glasgow and Edinburgh that was a possibility. I hope with this being open it will give more people hope that they can perfect their craft in the Highlands without having to leave. The former Millburn Academy pupil added: “When you are working from home it’s hard to get that divide, especially having a new baby, it’s pretty much impossible to get a few hours to work on artistic stuff.